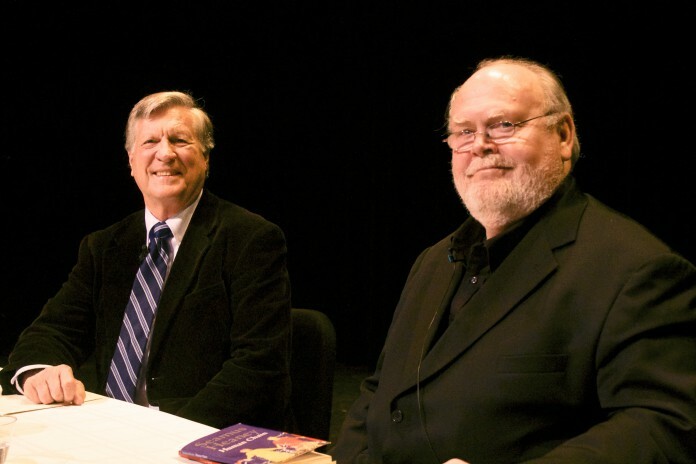 The Interdisciplinary Humanities Center at University of California, Santa Barbara hosted a lecture led by Thomas Long and Thomas Lynch, authors of the recent novel “The Good Funeral: Death, Grief, and the Community of Care,” on Feb. 6. The talk dealt with the evolution of attitudes toward the dead, death, and how this impacts our own reflections on living. The novel’s title refers to the fact that, in the 20th and 21st century, a “good” funeral that achieves all purposes of the ceremony is becoming a rarity. According to Lynch and Long, the fact that the modern funeral has deteriorated has contributed to a societal inability to truly process and cope with loss. Long–a poet, writer, and funeral director–and Lynch–a preacher and professor of theology–represent distinct but complementary sides of the funeral industry. While each author does bring a unique perspective founded on their opposing roles, their collaboration was possible because of their converging opinions. Both Lynch and Long brought to focus the exact purpose of the funeral and its effects on those who remain in the living world. Lynch introduced their central ideas on burial by imagining death in ancient times. Giving the audience a mental image of a widow in Neanderthal society, he posited that humanity is most recognized after the body has been forever removed from regular life. Lynch supported the notion that the current state of funerals could be fixed by creating a separate space for the dead, which is often manifested in a mentality that sees them as somehow still present. He described the tendency of many funerals to be “uplifting” or “life-affirming” rather than accepting of the reality of death, linking this to the common practice of cremation. He cited one example where a family had trouble coping after the father’s death, possibly due to their choice to cremate the body. In an attempt to combine the convenience of a cremation with the more spiritual process of seeing the body “leave,” Lynch said that he offers families the opportunity to go along to the crematorium so that they can fully absorb what is happening. A member of the audience, third-year graduate student Heather Berg, gave her opinion of the lecture, suggesting that it is perhaps more relevant to young people than they might think. In fact, both Lynch and Long noted the current generation’s tendency to fear and therefore avoid consideration of death, a trait likely passed down from their baby boomer parents.